Shellfish serve as Barnegat Bay’s natural housekeepers, filtering water as they grow, well, “happy as a clam,” as the saying goes. 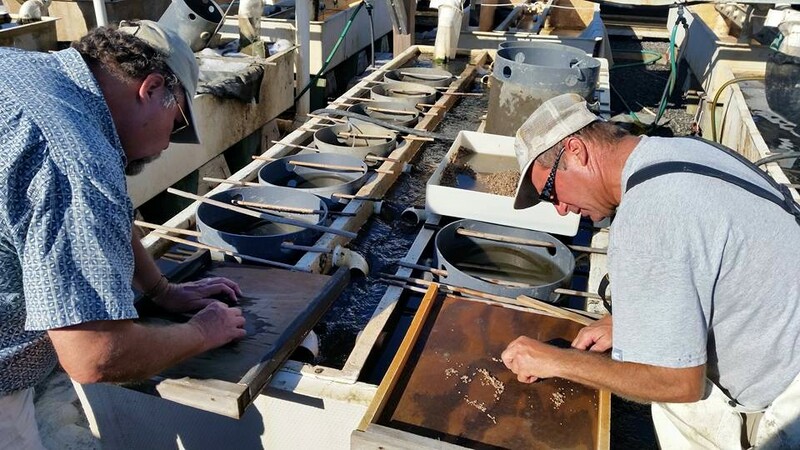 Soon, Brick’s Traders Cove Marina will become home to thousands of baby clams waiting to be released into the wild, all while providing residents and visitors with a hands-on education about the health of the waterway and the role these important creatures play in the ecosystem. ReClam the Bay, a nonprofit group which has deposited millions of clams into the bay as part of a years-long effort to restore the estuary’s shellfish population, will soon launch an interpretive center and upweller at the municipal marina to both grow clams and serve as an educational tool. An upweller, group organizers say, is a device which keeps clam larvae and baby clams safe from predators while allowing them to have a supply of clean, salt water. 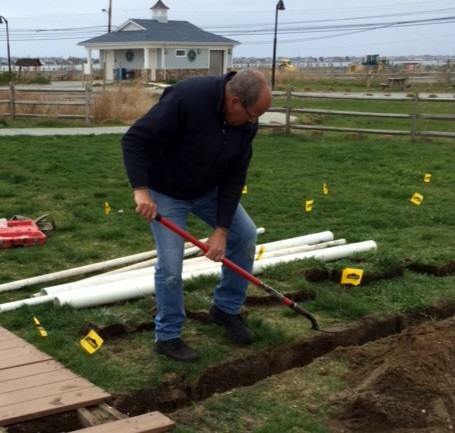 Several upwellers are maintained by the group from Long Beach Island northward, and Brick’s will play a central role in expanding ReClam the Bay’s mission to Brick Township and the northern barrier island. In addition to baby clams, the nursery will have baby oyster and baby bay scallops. The nursery will be available to the public all times that Traders Cove is open, and ReClam The Bay Shellfish Gardeners will be available at the site on Wednesdays at 10 a.m. each week starting mid-June until October, when the baby clams will be returned to the bay to grow even larger, at which point they’ll be moved to secret, strategic sites in the open bay. Visitors will be able to hold the clams, and learn from the members of ReClam The Bay why these tiny animals are so important to the bay’s survival. Ground has been broken on the project site, with work having begun Monday with volunteers starting to set up the upweller and educational exhibit. The project will be officially opened July 5 with a public ceremony, said volunteer organizer Charles Brandt, who added the Brick site will provide a place where people can learn about shellfish and even volunteer to help maintain the upwellers. “Sixty gallons of bay water will be pumped into the nursery tank every minute and with it will come the phytoplankton that the clams and oysters will feed upon as they grow rapidly during the summer months,” said Brandt. In addition to the Brick site, the organization is planning to install another upweller at Island Beach State Park at the site of the old Ship’s Wheel Marina. “We had, for several years, a nursery at the IBSP location, but it was destroyed during Sandy, and we finally have the infrastructure that will allow us to return,” said Brandt. Traders Cove Park / Marina – 40 Mantoloking Rd, Brick Township at 10 a.m., every Wednesday. Seaside Park / Island Beach State Park – Island Beach State Park Marina at 24th and Bayview Ave., South Seaside Park (Just outside the park entrance.) at 10 a.m. every Monday. Mantoloking Yacht Club – Bay Ave. & Downer Ave. Mantoloking, 10:30 a.m. every Friday. ReClam The Bay is always looking for volunteers of all ages to help care for these baby clams. The volunteers running the site will be Certified Shellfish Gardeners. These people have taken the 12 week course created by the Barnegat Bay Shellfish Restoration Program and Rutgers University. While the knowledge obtained during the course is important, everyone is invited to come on a regular basis when the nursery is open and help care for the baby clams. Volunteers are always welcome at any ReClam The Bay nursery around the bay by just by showing up and saying you want to help the bay.